Join us Friday, July 22 for PHO! Come on out to Kelley Park this Friday from 6-9pm to enjoy the next FREE concert of the 2016 Music in Kelley Park Concert Series, presented by Think Mutual Bank and Uponor. We are thrilled to welcome PHO back to Kelley Park. 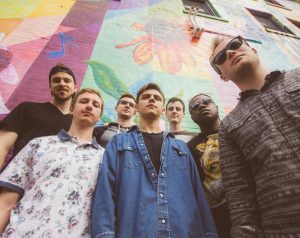 PHO is a Twin Cities funk band creating a new Minneapolis sound utilizing modern taste and classic influences to break musical boundaries. You won’t want to miss this! Kelley Park is located at 6855 Fortino Street. Food and drinks will be available to purchase. See the full lineup here!